Interior case depth is 1-15/16"
Overall depth measures 2-1/4" deep. Our new Enclosed Bulletin Boards with Recycled Rubber tack surface makes doing the right thing easy to do for both yourself and the environment. Made with 90% recycled materials this board is sure to pass any green standard. These indoor usage units are offered in both aluminum and solid wood framing. The textured tackable surface is self-healing and won't show pin holes. Units come fully equipped with lockable, hinged doors and shatter resistant acrylic. 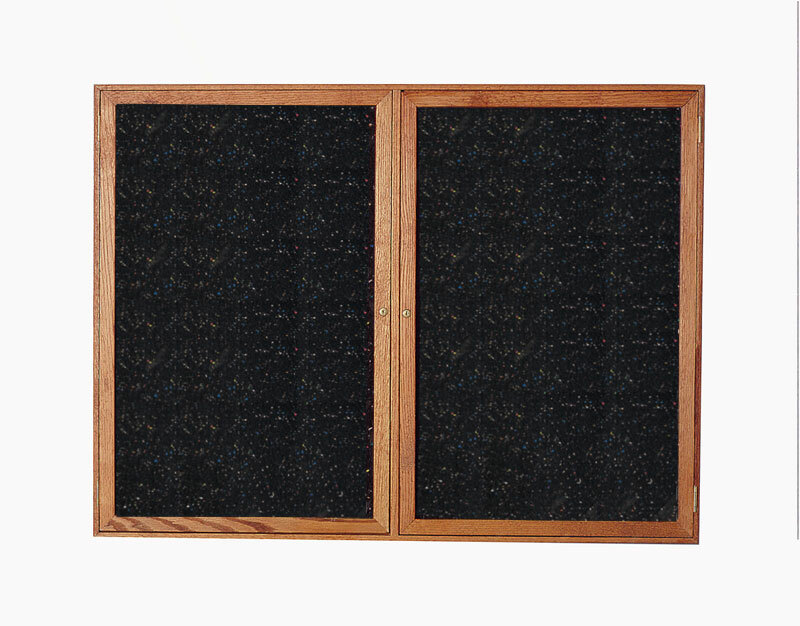 Recycled Rubber enclosed tack boards carry a 10-year guarantee.